03/16/19 update: Nowell used his home recording studio to produce the Black Rainbow Blues album by the band Rivelan! Nowell Valeri is a musical composer, producer and performer based in San Francisco, CA who can be found online at nvaleri.com. “In 2015 my wife and I decided to dedicate most of our living space to our art. She commandeered the master bedroom in our San Francisco home as a north-light painting studio and I took over the entirety of the living room right below her. 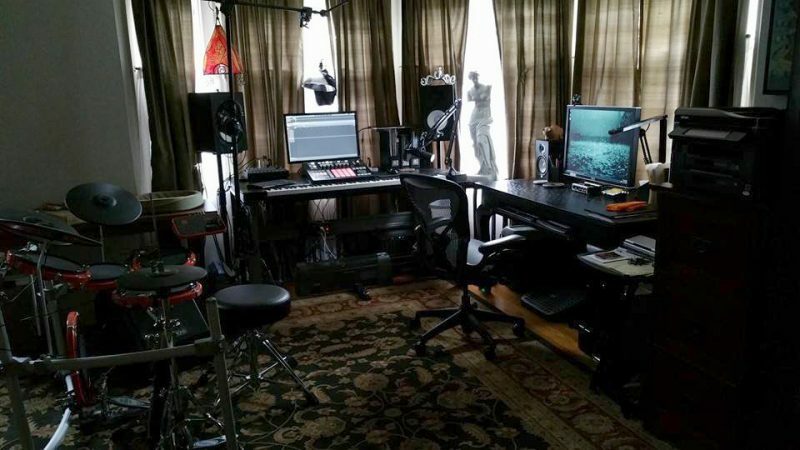 Both studios have their issues as artistic spaces, but our former living room presented many more problems for me, none of which I realized until I started producing (mostly electronic) music in it regularly. Here’s what Nowell’s San Francisco home recording studio looked like at the start of the client’s work with Acoustic Frontiers. During the Room Acoustic Analysis, we visited Nowell’s San Francisco home recording studio to take acoustical measurements of the space and figure out how to improve it. 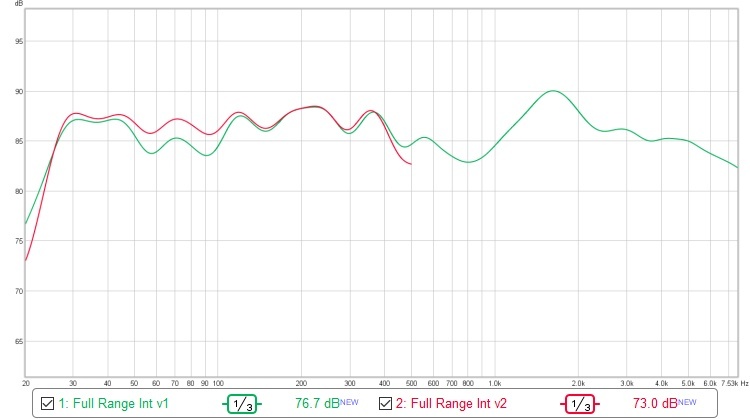 “After only a few sine sweeps Acoustic Frontiers were able to show me the problems with the room and the reasons that I wasn’t able to get accurate mixes out of my space – in particular wayward resonances at several points in the frequency spectrum, most notably at 117hz, 86hz, 65hz and 28hz. They’d found my smoking gun(s). 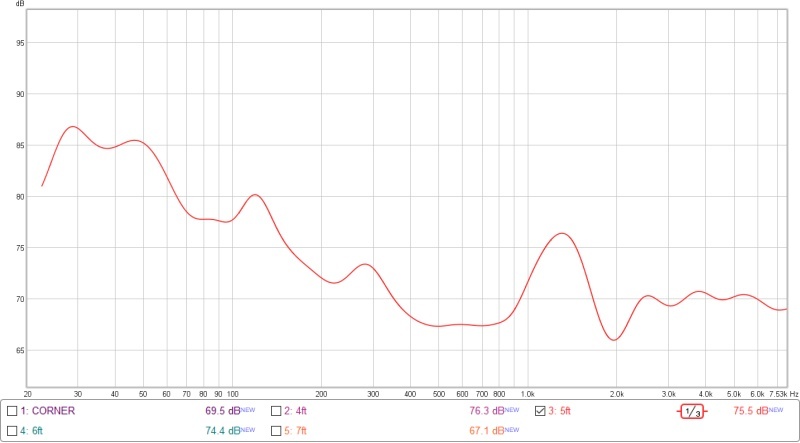 Here’s what the frequency response looked like before we implemented our solutions! After getting the client’s agreement to the listening position re-orientation, we took a fresh set of acoustic measurements which were used as the basis for the Acoustic Treatment Design. As budget was limited, we focused on the key issues for mix translatability – those sub-100Hz bass issues. Two JL Dominion 8″ subwoofers, one placed under the desk and the other at the rear of the room. With this placement, the 1st axial length would be naturally cancelled. A set of three hybrid absorber / diffuser panels arranged as a cloud with a large and variable airgap (to improve bass absorption over a range of frequencies) over the listening position. Post-EQ response, green line = system as EQ’d without boost filter at around 70Hz, red lien = system as EQ’d with boost filter. Pretty flat, except for the bump and wiggle near 1-2kHz, a typical artifact of a desk reflection. “Since the install and calibration my mixes have improved dramatically. Problems in older tracks that I couldn’t hear before are very obvious now, and my mixes translate much better to other listening environments than before. My confidence has been restored to the level where I can push certain instrument parts in my mix (specifically bass-heavy synths and drums) harder, with great results. My car tests aren’t nearly as depressing anymore, I’m happy to say. I look forward to producing more and more projects in the coming year, including my own personal album, which I’m planning to produce entirely in my new home studio. Thanks so much to Acoustic Frontiers for getting my studio back on track!” Nowell Valeri, San Francisco, CA.